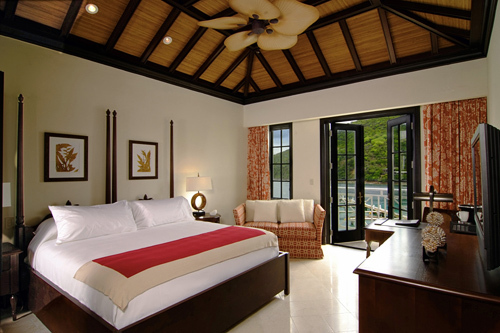 Showcasing traditional Caribbean décor with rich woods and vibrant colors our 357 square foot Ocean View Guestroom is not only spacious but also relaxing. We’ll be pampered as we sleep in our king size bed that is adorned with luxurious Egyptian combed cotton 300 thread-count Fili d’Oro sheets and soft down bedding. It also features a flat panel television, a bamboo-ceiling fan, and a natural stone bathroom that includes a separate shower and tub, L'Occitane bath amenities and a dual vanity. As we sit hand in hand on our private patio, we will admire breathtaking views of the Caribbean and the peaceful enjoyment of being a newly married couple. Offering a separate living space from the master bedroom our 960 square foot Ocean View One Bedroom suite will lavish us in sophistication and all of the comforts of home. Our spacious accommodations include a 50 inch flat panel television, a private dining area, one and a half baths as well as a full size washer and dryer. With a fully equipped gourmet kitchen that includes custom designed furnishings, top of line appliances and granite counters we can choose to stay in for a romantic dinner alone or heat up our favorites from Chef Davide. 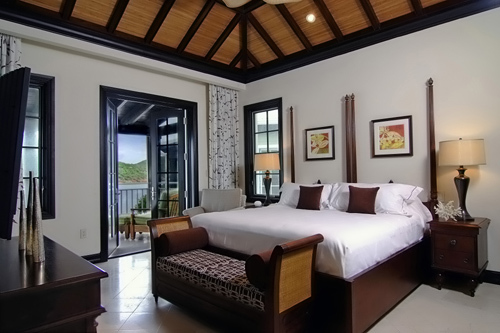 Surrounded by natural stone flooring, luxurious fabrics, timeless teak wood furniture and a wood-beamed ceiling we will experience the very best that the BVI has to offer. Our romantic honeymoon to Scrub Island wouldn’t be complete without sleeping in and ordering breakfast in bed! Our menu selections will include a variety of gourmet items and classic favorites like the Island Panettone French Toast, a house made Italian bread served with a delicious maple syrup and fruit compote. With room service offered all day why stop at breakfast? Lunch, dinner and a late night menu are also available to us! In the spirit of the famous, eclectic beach bars of the BVI, One Shoe Beach Bar is a true departure from the elegant dining experience on the island. As the name implies, this is Scrub Island’s most laid back bar. Here amid a rustic natural setting and pristine sand, we’ll be swept up in a relaxed Caribbean vibe that will melt the wedding worries away! 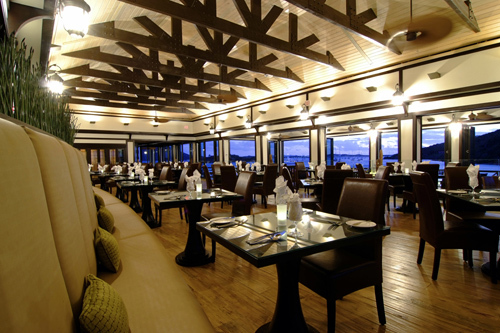 Caravela, Scrub Island’s signature restaurant, is named for the type of ship that Christopher Columbus sailed during his discovery of the Virgin Islands. Combining the best of traditional recipes and techniques with fresh local ingredients their fare ranges from gourmet to causal. This upscale air-conditioned haven features floor to ceiling glass windows and a four-course pre fixe menu that changes daily, ensuring us a unique experience each time we dine here! Location dining at Scrub Island Resort offers us the unique ability to privately dine on scenic North Beach. This natural oasis offers us an idyllic Caribbean experience with nothing but each other, white sand and palm trees blowing in the wind. After enjoying the delicious Scrub Island cuisine we can settle into two comfy deck chairs and listen to the gentle lapping of the waves as we watch the sun go down. 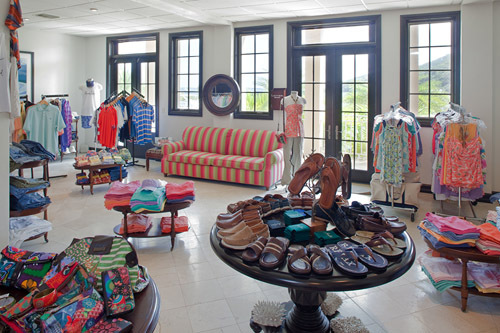 Located on the ground level of our beautiful resort we’ll find Antilia Boutique, a great place to shop for resort clothing, shoes and gift items. From stylish accessories and souvenirs with the hotel logo, we’ll be sure to find a few honeymoon keepsakes that will allow us to reminisce about our time in paradise for many years to come! 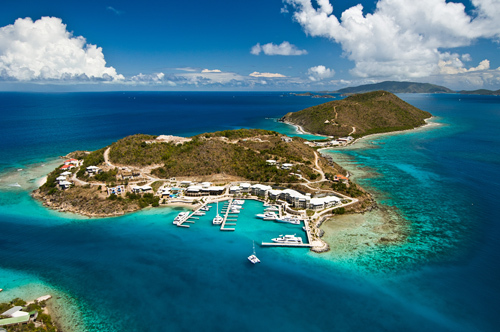 With your considerate gift, we will experience the trip of a lifetime to the stunning Scrub Island Resort, Spa and Marina located in the British Virgin Islands! This newly built luxurious private island resort boasts 52 elegant Ocean View Guestrooms & Suites and only the finest in relaxation and modern amenities. With three restaurants, four bars, three private beaches, a multi-tiered pool, an award winning Spa and Dive Shop all located on island, Scrub Island will provide us with the perfect blend of modern luxuries and the relaxation of an unspoiled private island sanctuary. In the British Virgin Islands, we will be surrounded by pristine white sand beaches and crystal clear azure Caribbean waters. With your generous contribution we will be able to take in the natural beauty of the islands on an exciting excursion by Dive BVI, dine at one of three restaurants and bars, soak up the sun by the lagoon-styled pool or relax under the masterful hands of an Ixora Spa therapist. 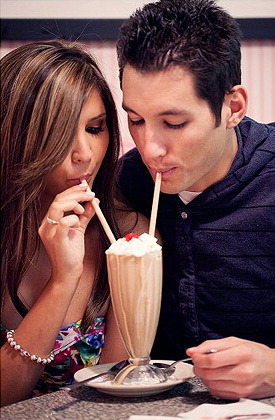 No matter what we decide to indulge in, your thoughtful gift will provide us with memories that will last a lifetime! Prior to our arrival a chilled bottle of Jacqueline Champagne will be delivered to our suite making our first night on island even sweeter. The night will find us making a toast to our families, our future together and to our dream honeymoon in paradise. Thank you for being a part of it! 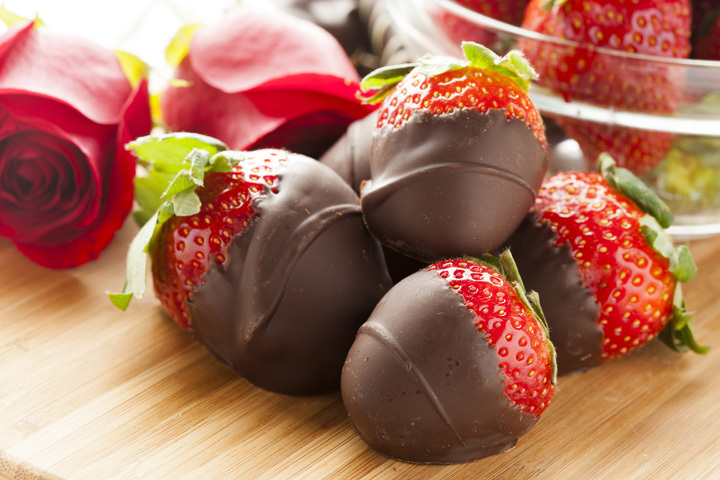 A platter of succulent strawberries dipped in rich, silky chocolate will be delivered to our room or suite. 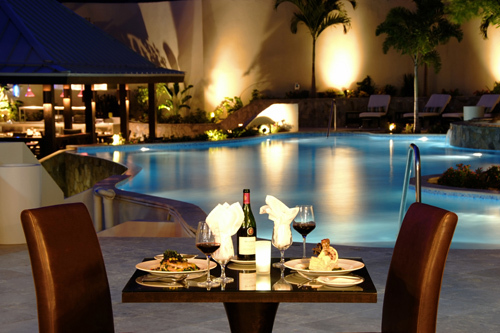 Together, we will indulge in this decadent dessert while admiring the spectacular views of the sparkling Caribbean Sea. 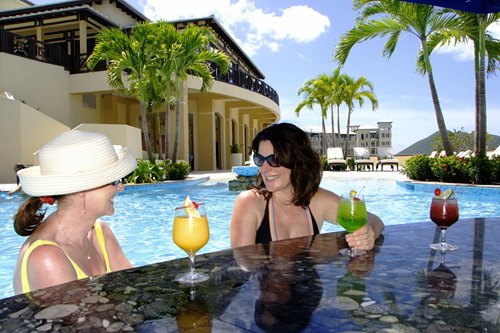 The natural beauty and atmosphere of the islands will shine in this unique treatment. Sore muscles will be a distant memory as I am treated to a relaxing massage with heated basalt stones that are proven to ease mental fatigue. Next, a refreshing hot and cold stone face massage will offer me revitalization. 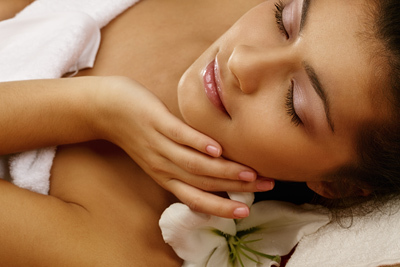 This soothing massage offers deeply therapeutic benefits that I will adore! 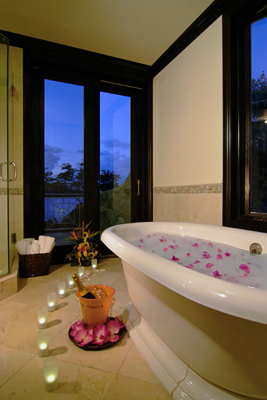 With this Scrub Island signature massage we will enjoy the best that Ixora Spa has to offer! Delicious heat will be applied to our spines to soothe our backs and calm our minds while relaxing massage techniques melts our stress away. Luscious lavender scented oil will be used for the aromatherapy benefit of deep relaxation. It is also rich in antioxidants, green tea extract and vitamin C to help combat the effects of aging and sun exposure. Heaven awaits after indulging in this wonderful scrub! The natural humectant properties of sugar will help to softly exfoliate tired skin while plumping new cells and diminishing fine lines. The scrub will be followed with an exceptionally rich cream that will leave my skin feeling perceptibly smoother, with improved lift and moisture-balance. The sweet essence of mango and papaya provides natural refreshment for my complexion. My skin will feel soft, smooth and refreshed! Inspired by the beautifully flowering Ixora plant, this European style facial incorporates island botanicals and vitamin rich products to hydrate and tone my skin. A calming masque of aloe and azulene restores balance. 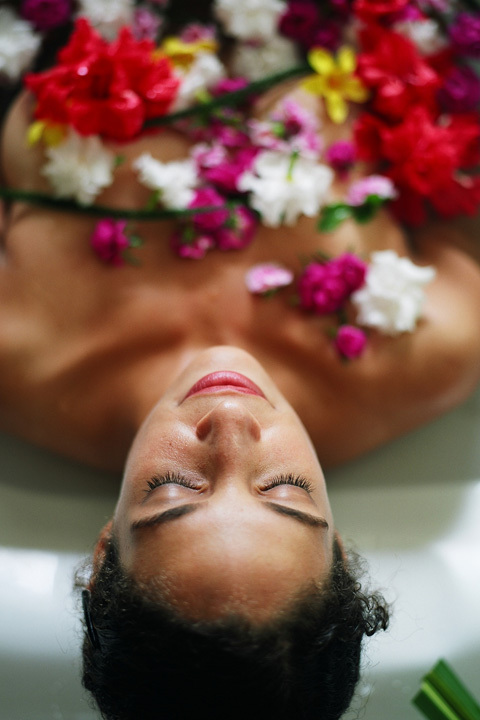 This hydrating service is beneficial for all skin types! This treatment is truly a classic. It includes a hand soak, nail shaping, cuticle care, buffing, a relaxing hand massage with warm cream and a long lasting polish of my choice. With a pedicure I can relax and soak my feet in a foot bath. It also includes nail shaping, basic foot filing, cuticle care, moisturizer and long lasting polish of my choice or buff to a natural gloss. This is the perfect package for us on our honeymoon! We will get comfortable and relax together in a deluxe couples room and enjoy a tandem 30-minute Exotic Spice Body Scrub and 60-minute Eterno Massage. To finish, the Island Spice Scalp Enhancement will lull us into a state of total bliss and relaxation. 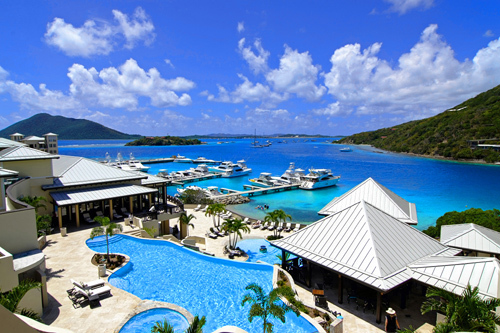 Help us celebrate the greatest day of our lives at Scrub Island Resort, Spa and Marina in the beautiful British Virgin Islands! With your generous wedding gift, we will experience a beautiful wedding ceremony at a luxurious private island. Our on-site wedding coordinator will take care of every single detail for our big day from our ceremony to the reception and all guest arrangements. Whether we are planning an elegant event or an intimate wedding, Scrub Island will ensure that our day is pure perfection!